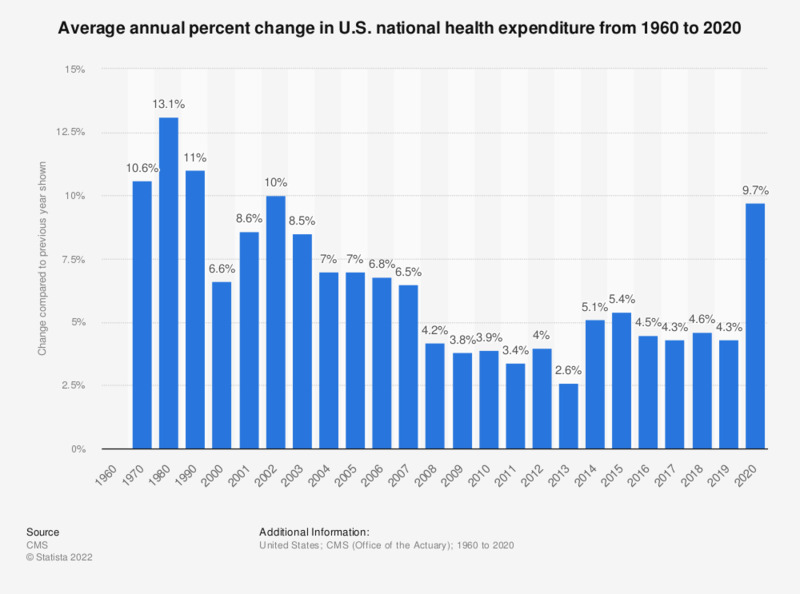 This statistic shows the average annual percentage of change in national health expenditure in the United States from 1960 to 2017. In 2017, total national health expenditure in the U.S. was 3.9 percent higher compared to 2016. * Average annual percent change from previous year shown.